Here are the internationally renowned UQ scientists who teach, research and collaborate with industry in the field of chemistry. Cutting edge research at UQ chemistry. World-class facilities in the School of Chemistry & Molecular Bioscience and dedicated research institutes. 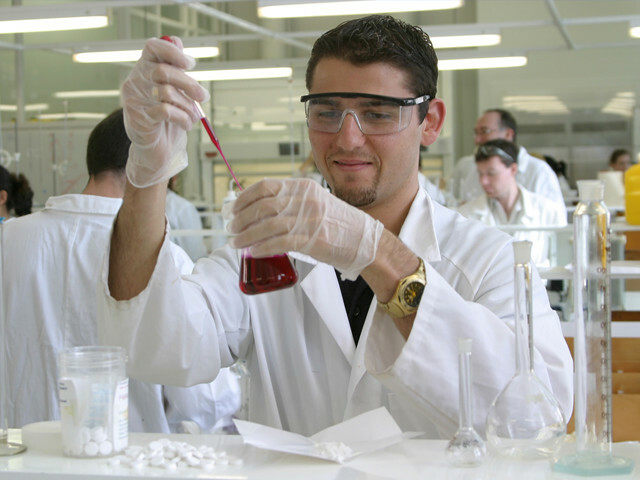 UQ chemistry is committed to the delivery of graduates who are in-demand. At UQ the overarching research themes follow the key sub-disciplines of organic, inorganic, physical and computational chemistry. These key disciplines then combine in their applications into two broad areas in an integrated and cohesive manner – 'biological' chemistry and 'materials' chemistry.